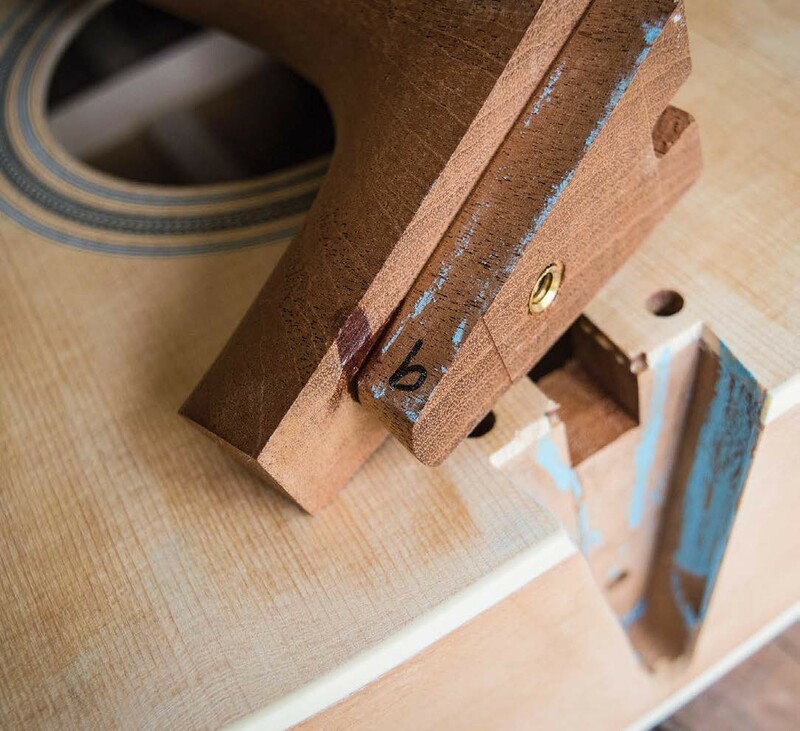 Setting the neck correctly is fundamental to the tone and playability of acoustic and archtop guitars. 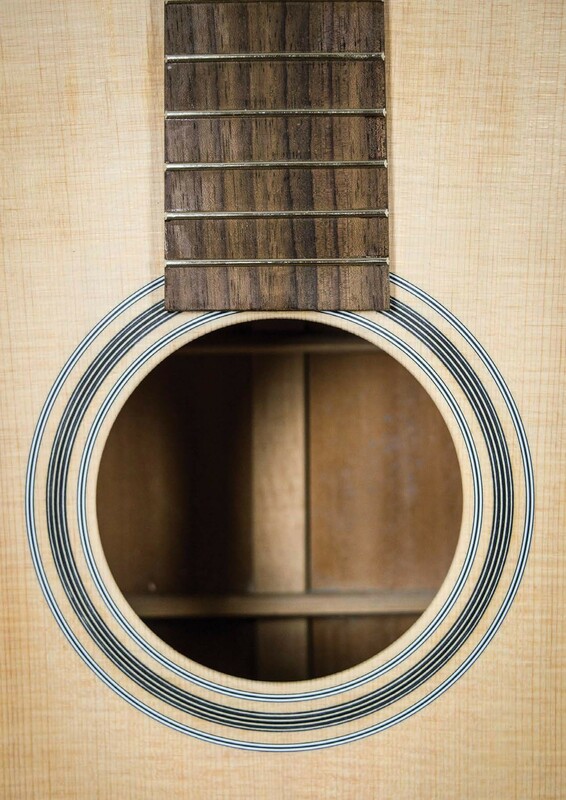 In addition to conforming perfectly to the guitar’s centre line, it has to have just the right amount of back angle to achieve a playable action. 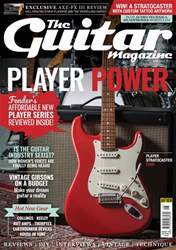 Too little angle, and the action will be too high; and too much will require excessive saddle height, and the fingerboard tongue will ramp down like a ski jump beyond the 14th fret. Martin’s neck joints are cut on a CNC machine and they’re very accurate. The neck drops most of the way into the joint, with about 5mm proud of the top. I apply chalk to the angled sides of the neck block and when I push the neck in and then remove it, chalk marks on the neck’s dovetail reveal the high spots. Using a very sharp chisel, I shave waferthin slivers of wood away at the high spots and refit the neck. The process is repeated several times, and it goes a little deeper on each test fitting. The fit also gets tighter, requiring a firm tap on the heel to knock the neck back out of the joint.